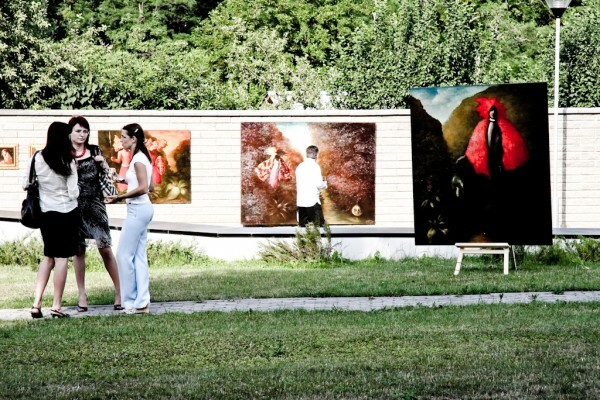 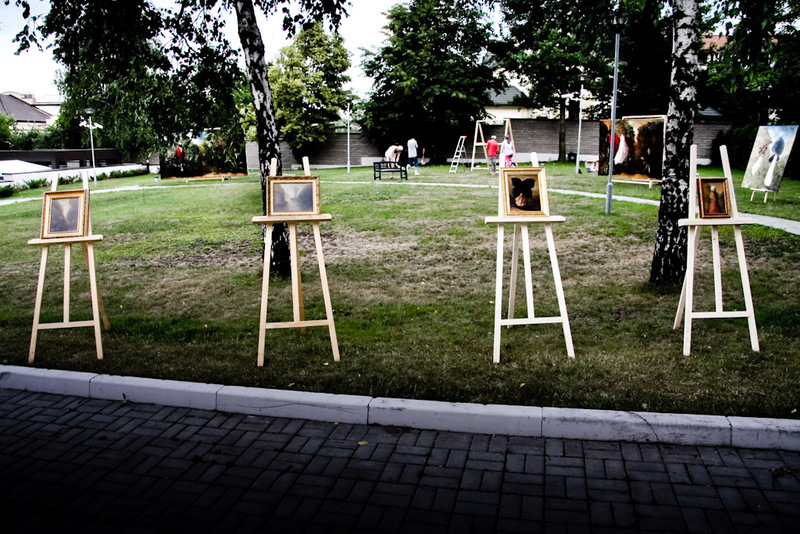 Harmony Diarama – installation in Kiev old botanic garden. 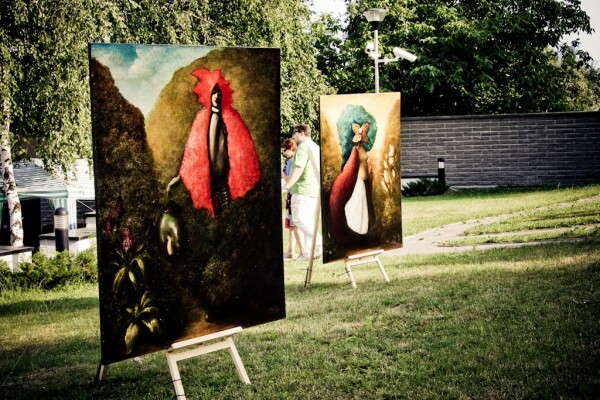 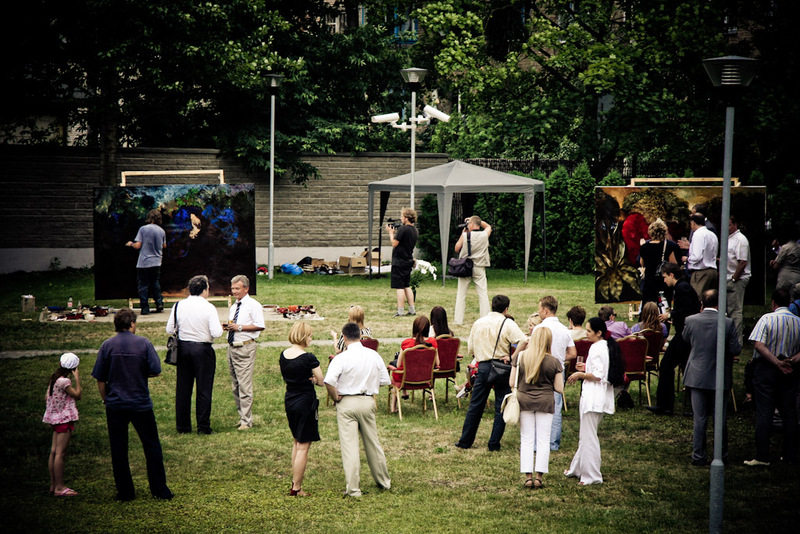 (Lithuanian embassy) Cycle of Sigitas Staniunas paintings was presented as one day installation as well as few hours live painting. Sound artist Paulius Kilbauskas performed live during painting session.